Ever wanted to enjoy a cup of coffee in Luke's Diner from Gilmore Girls? Or a piece of pie from the café in Twin Peaks? You're not alone. If pop culture and food go together for you like coffee and Friends or pizza and the Ninja Turtles, then you best get yourself to New York and these iconic eateries. The iconic show about nothing spent a lot of time doing just that at Monk’s Café. While the inside of the café is actually a set in Hollywood, the shot of the outside of the café, known in real life as Tom’s Restaurant, can be seen in New York’s Morningside Heights. Katz’s Deli was famous long before it became the site of the iconic ‘I’ll have what she’s having' line. In fact, the kosher-style eaterie has lived in Manhattan’s Lower East Side for over 128 years, with its pastrami on rye sandwiches and hot dogs drawing in crowds of tourists, actors and celebrities alike. The deli is so popular that it serves 15,000 pounds of pastrami and 8,000 pounds of corned beef each week. Oh, and they also have a sign inside pointing to the exact seat Sally sat in for that famous scene. 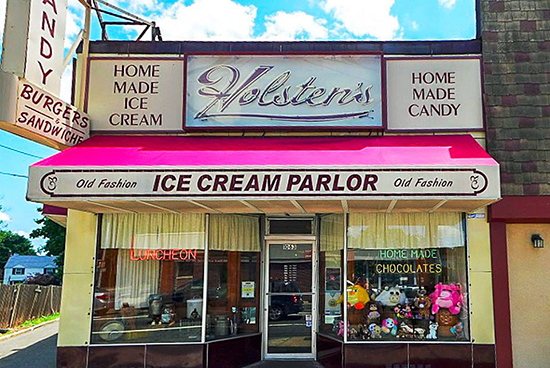 If you’re a fan of The Sopranos, then you’ll want to make the journey out to New Jersey to sit in one of the red leather benches at Holsten’s, the famed setting of the very last Sopranos scene. The iconic store dates all the way back to 1939 when it was known as Strubbe’s Ice Cream parlour, while today it’s famed for its ice cream, onion rings and the ‘reserved for the Soprano family’ sign that sits above one of the booths. A friendly Irish neighbourhood pub in Hell’s Kitchen is the inspiration behind the beloved MacLaren’s Pub in How I Met Your Mother. The real pub's name is McGee’s and it was once the favourite watering hole of the show’s creators Carter Bays and Craig Thomas, who used to drink there while working for Letterman on The Late Show. 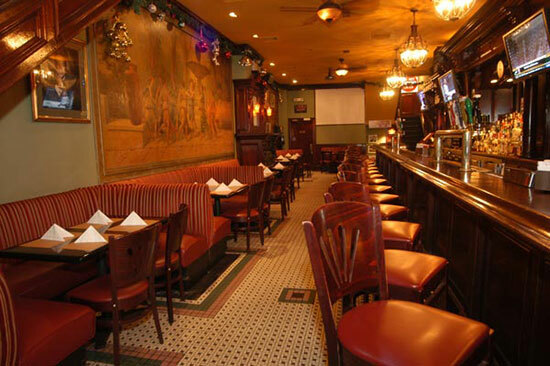 The pub features many of the hallmarks of the show’s MacLaren’s Pub, including a full-wall mural, and also offers a How I Met Your Mother themed food and cocktail menu every Monday. The Greenwich Village hallmark has been serving up authentic no-frills New York pizza slices since 1975. The pizzeria’s cult status was further cemented in 2004 though when Joe’s Pizza enjoyed a starring role in Spider-Man 2 with Peter Parker working there as a pizza delivery boy. But Joe’s Pizza isn’t just worth visiting for the photo op – the pizza is said to be among the best in the city, with numerous rave reviews and the ringing endorsement of Ben Affleck. “I have a crush,” admits Carrie to Miranda, while sitting outside of the little-known Magnolia Bakery and biting into a miniature icing-topped cupcake. And just like that, that simple small scene spawned the beginning of the cupcake trend of the noughties, cementing Magnolia Bakery’s cult status as the bakery to visit. Since the,n Magnolia has expanded its Bleeker Street location to nine store locations in the USA, 16 international locations and also offers nationwide shipping. Serendipity 3 was founded in 1954 in Little Italy by three friends and is said to be New York’s first coffee house boutique. Soon after its opening, the café and it’s Frrrozen Hot Chocolate quickly became a hit. Andy Warhol, before he was a household name, was an early regular. And then of course, the café enjoyed a notable starring role in the romantic comedy Serendipity starring Kate Beckinsale and John Cusack. 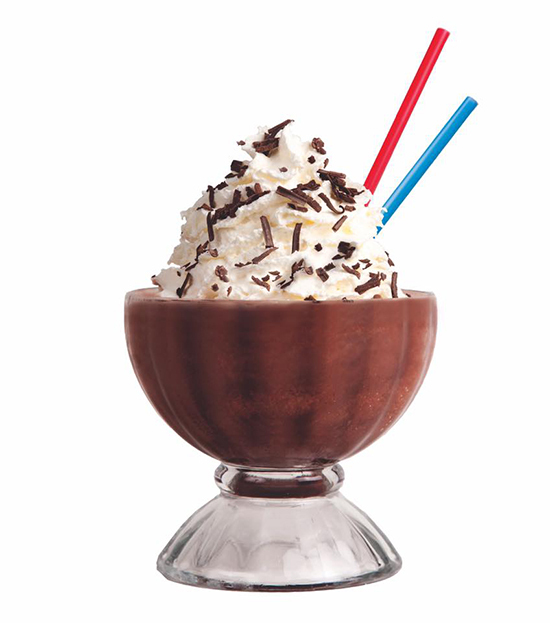 Its popularity has since sky-rocketed with Serendipity 3 opening up a second location at Caesars Palace in Las Vegas and holding a Guiness World Record for the Golden Opulence Sundae, priced at US$1,000. Feeling hungry? Feed your pop-culture appetite with one of our New York holidays or book an apointment with one of our Experts in-store to get planning.